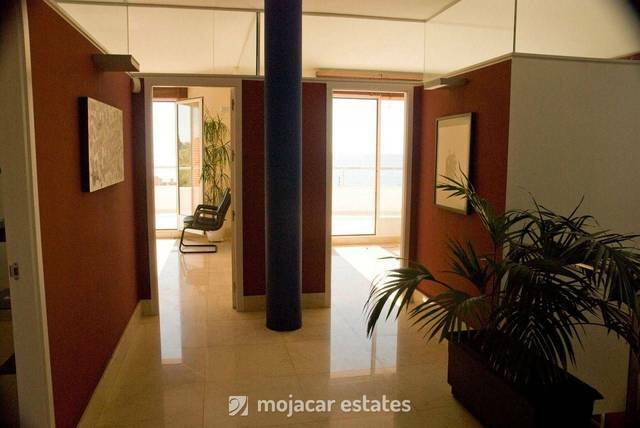 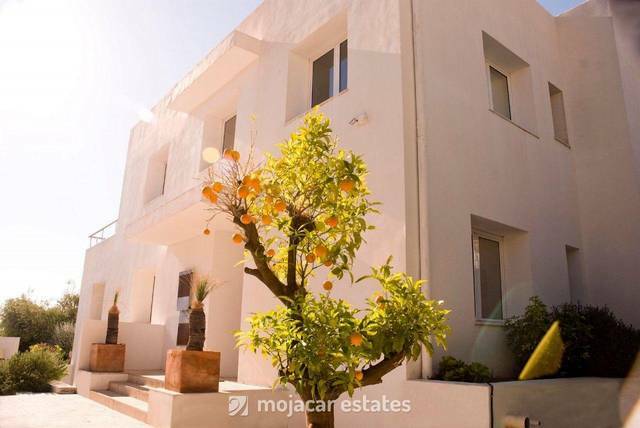 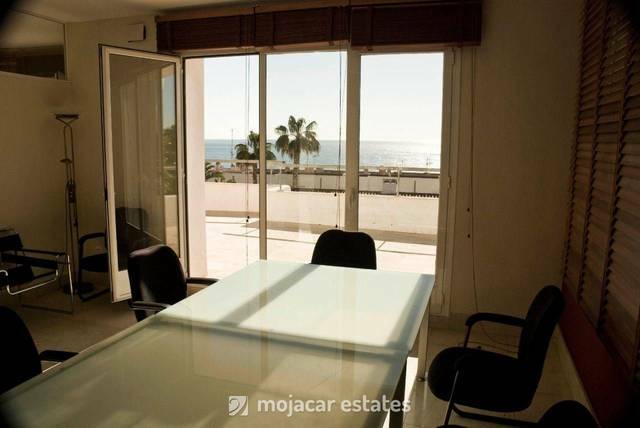 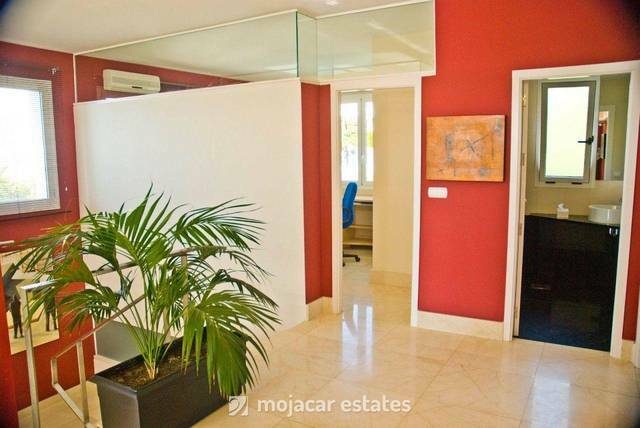 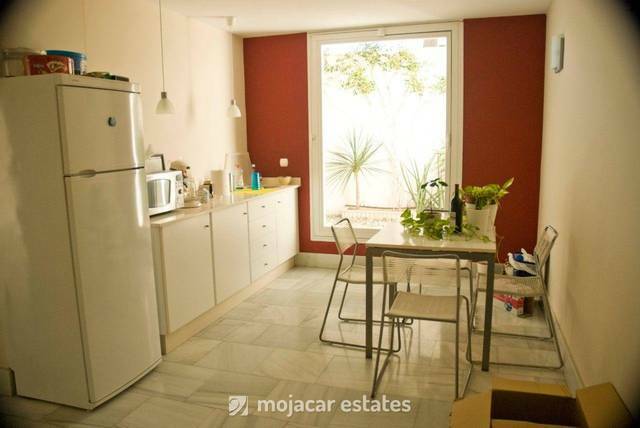 Modern villa for sale in Mojacar Costa Almeria Andalusia, on three floors in walking distance to the "Las Ventanicas" beach, the promenade and all amenities. 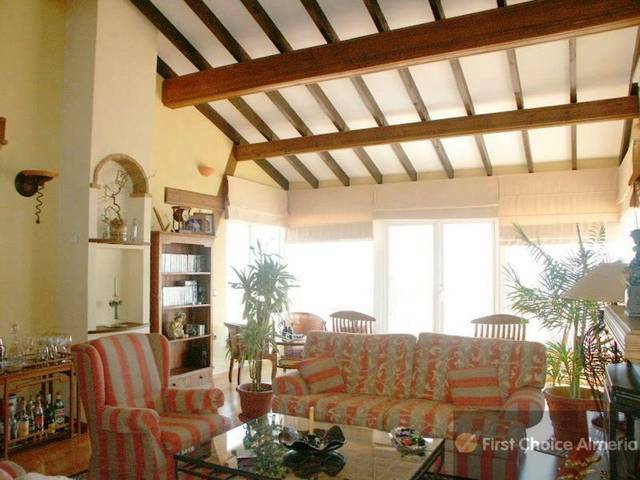 The villa has been built as a private house, but is used currently as professional premisses. 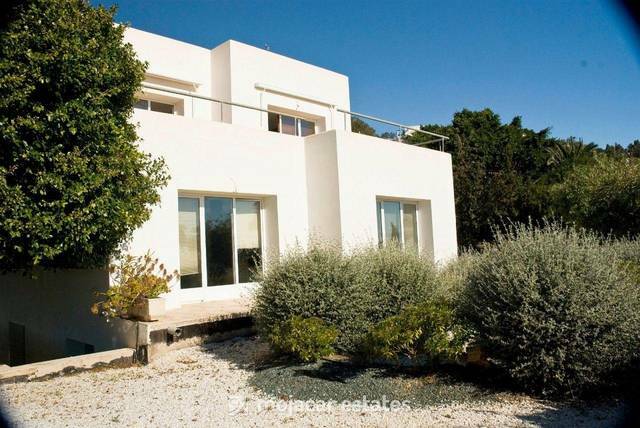 The premisses can be converted back with very little effort to a private villa. 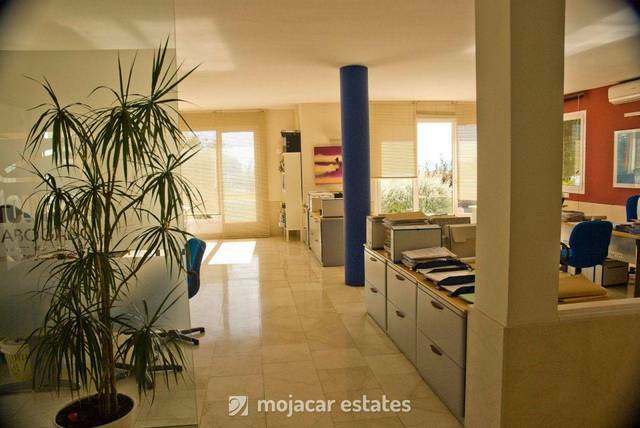 In our opinion an ideal place to combine living and working if of interest. 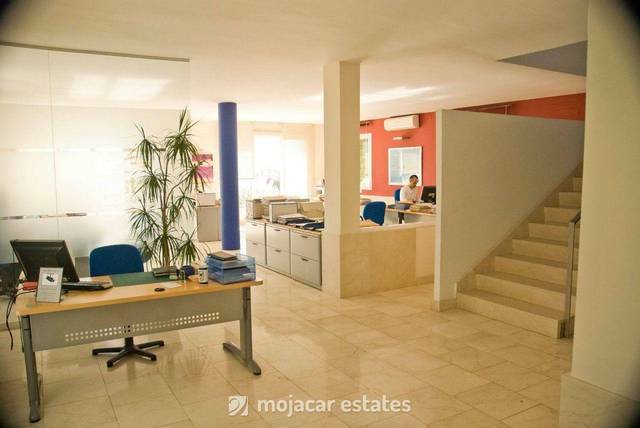 The ground floor consists of entrance hall and stairs to the first floor and down to the basement, lounge/diner (now office space), kitchen, 2 bedrooms, 1 bathroom and a large terrace (constructed area measuring: 149.22sqm). 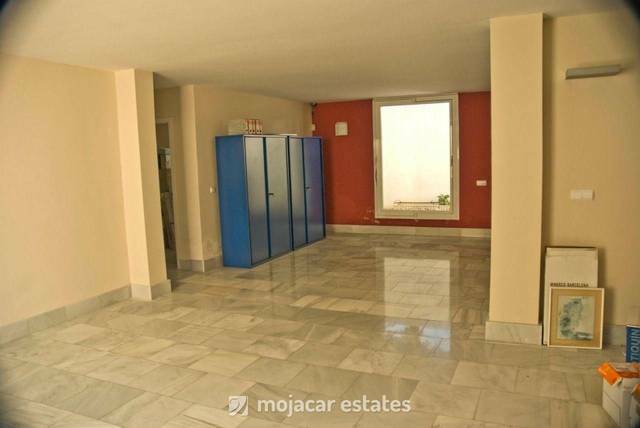 The basement (87.27sqm) contains a large garage/store area with electric door, and separate space for a self contained apartment/gymnasium/games room. 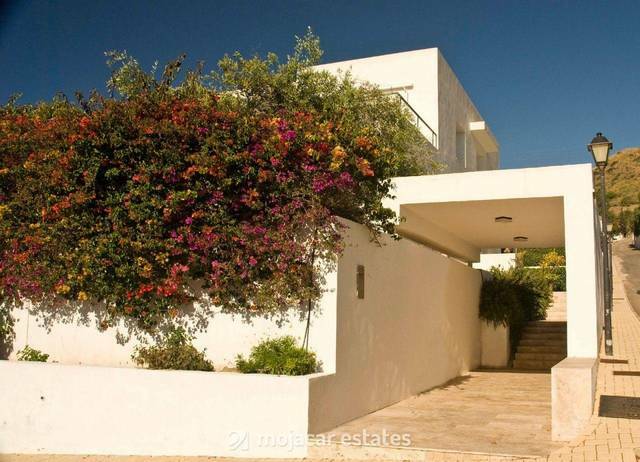 A private swimming pool is possible in front of the house, at the moment it is a landscaped garden. 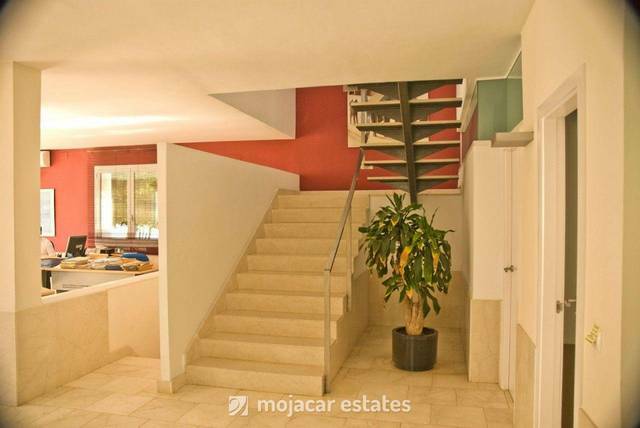 Built to high standard with marble staircase and floors, stainless steel handrails etc. 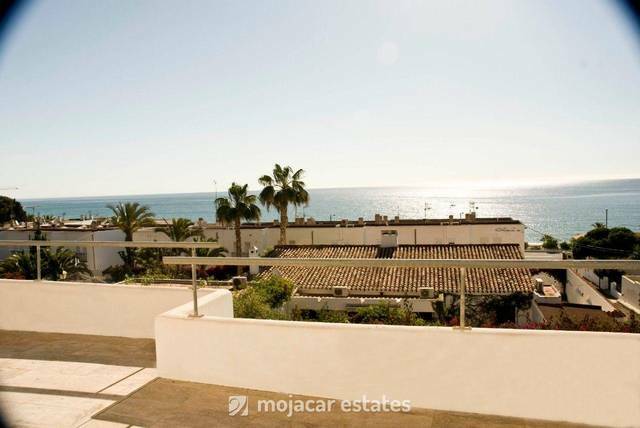 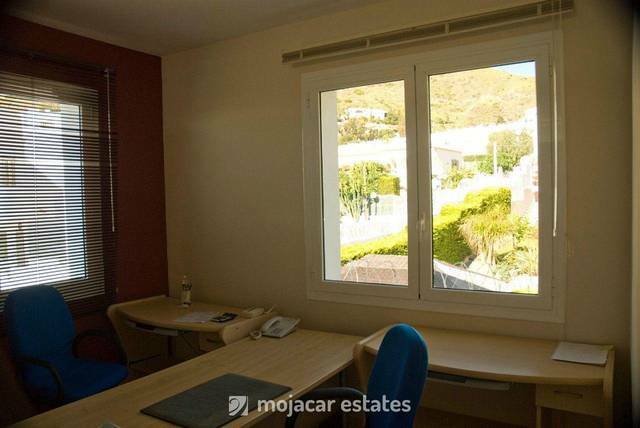 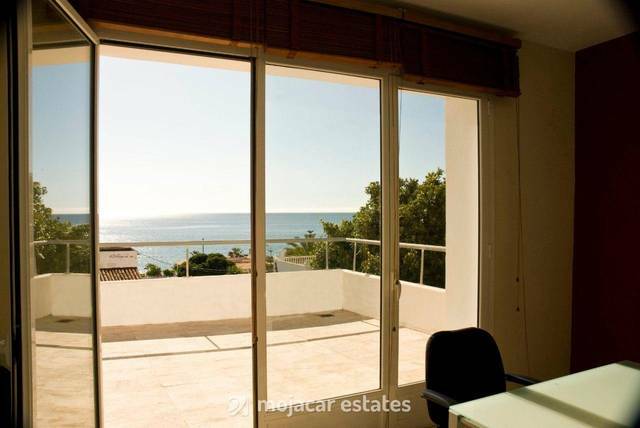 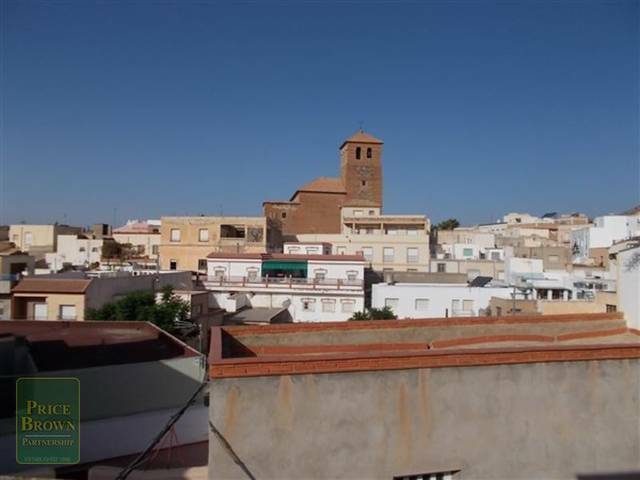 Property for sale in Almeria has grown in popularity over the years with the weather in the Mojacar area offering over 320 days sunshine a year, it is an ideal location for finding your dream holiday home on our sunny Levante beach area. 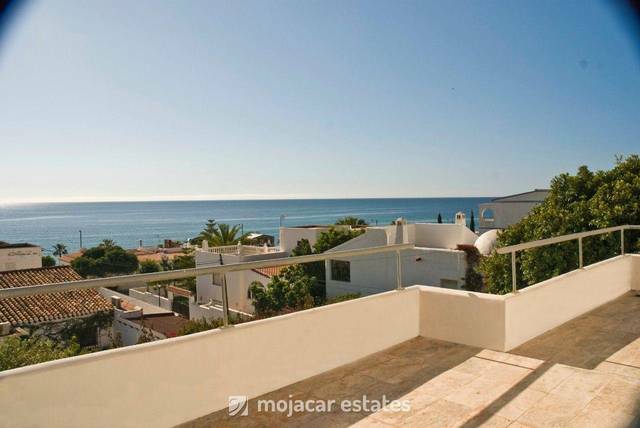 On the above Google map click on enlarge map and the exact location of the property in Mojacar Playa is marked with the pin.